I've always thought of myself as a problem solver. I don't like problems, and I will not rest until they are solved. Kind of a downfall really, since I've lost hours of sleep on issues or situations that any other person would never have encountered or thought of in the first place. phone on its speakers system because the case is too thick. Solution: buy a new case. Great! I feel accomplished without spending restless nights concerned about docking my phone. Unfortunately, the problems that I encounter are rarely this quick and easy to solve. Being from out of state, I still enjoy listening to radio stations from home, and like streaming the stations live from my computer. The problem isn't that my computers aren't loud enough (because my SideStream computer speakers are AMAZING). The problem that I constantly encounter is that it's hard listening to the streaming radio stations when my computer is immobile and I'm working in every part of the house other than the office. Like I said, to anyone else, this isn't a situation worth losing sleep over. But every Saturday morning when I would work in the yard, tidy up the kitchen, or clean the living room, it was a little frustrating to not be able to listen to the music I wanted to. Especially when I knew there was a solution to my problem that I had been avoiding trying to discover. I began to wonder whether there was a solution to my problem or if I was never going to listen to music from my computer in rooms other than the office. Alas, my friends at Accessory Genie came to my rescue once again! 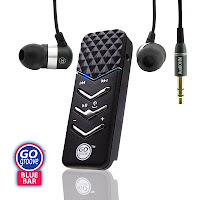 The GOgroove BlueBar Clip-On Wireless Bluetooth Adapter was the most simple and inexpensive solution to my dilemma! 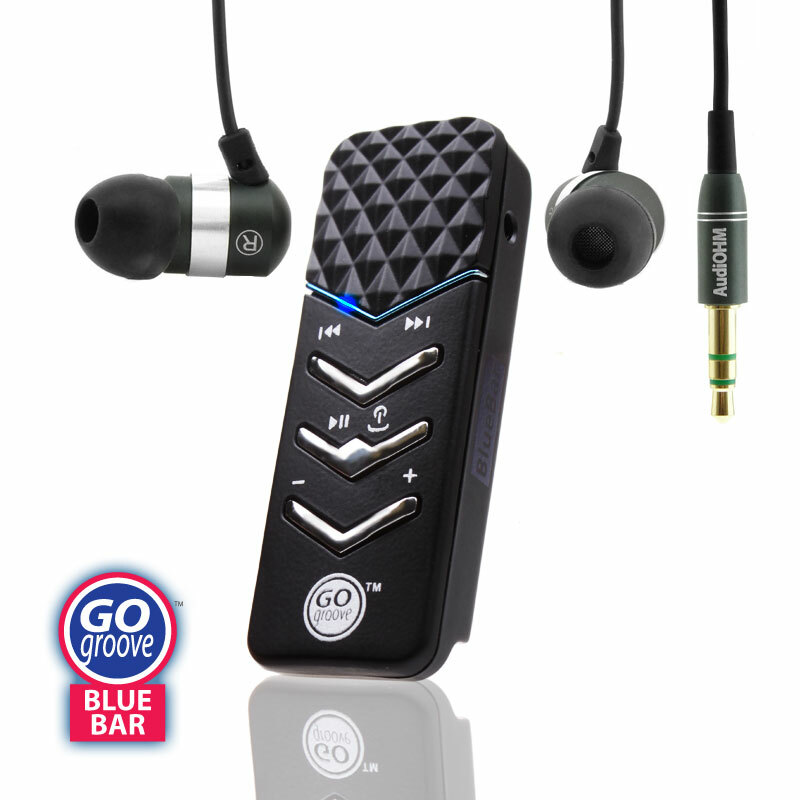 Through a Bluetooth connection, the BlueBar can connect to any Bluetooth enabled device, like a computer. Through the 3.5mm plug, I can then listen to audio from my computer or any other device without having to be near it! Unfortunately, my ancient computer isn't Bluetooth enabled, which did present another roadblock. But I was easily able to purchase a Bluetooth dongle from Amazon for a couple bucks! Not only can I now listen to my favorite stations, or anything else playing on my computer, but I can also connect wirelessly to my phone and listen to music through my earbuds or my Koala Pal without having to cart my phone around. Looking forward to enjoying a nice Saturday filled with yard work and my hometown's radio station! Creating My Own "Car of the Future"